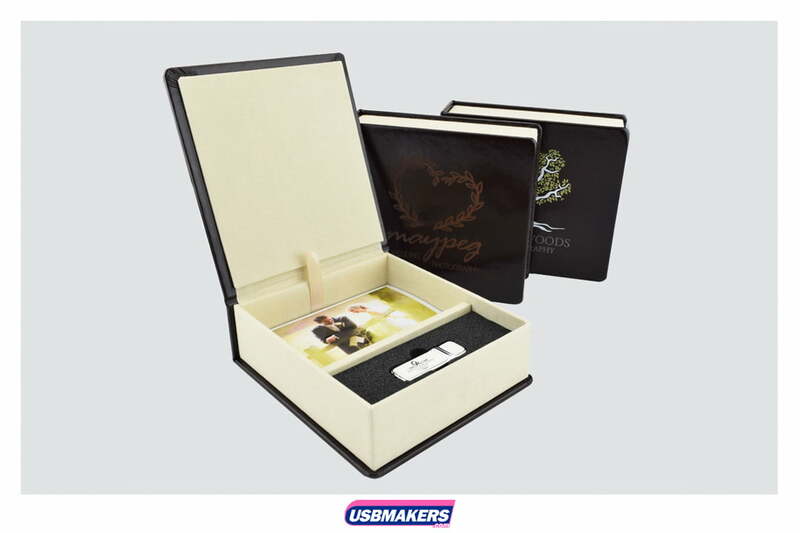 The Book Style USB & Photo Print Box is the newest addition to our premium range, with the ability to print a vibrant full-colour logo onto the soft brown Eco-leather case, accentuating your company’s brand to its fullest. 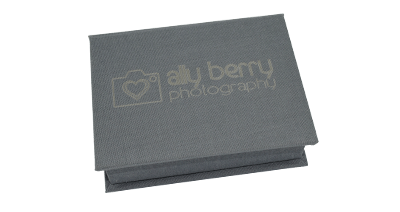 If you would prefer, we can laser engraved into the Eco Leather which will appear as a light tan colour and create more of a subtle approach for your logo. 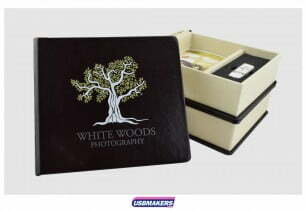 The Box Boasts an appealing beige canvas that lines the inside of the box to cushion the photographs and stylish faux leather Hermes USB Drive. 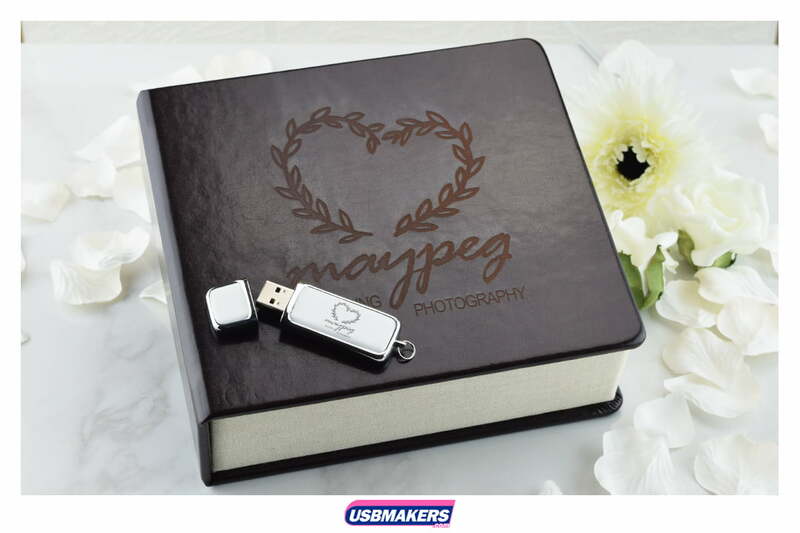 An easy pull satin ribbon helps to elevate the photographs out of the box, and a custom die cut foam holds the Hermes USB Drive in place – safe and secure. 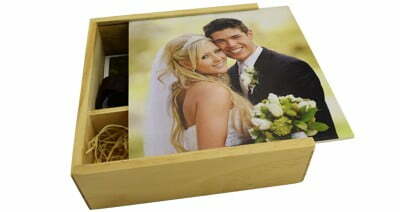 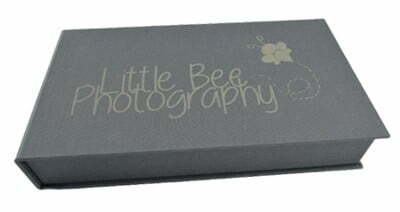 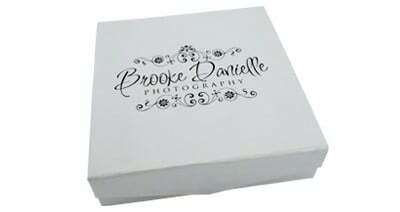 The Book Style Gift Box has a minimum order of just 5 units and can hold up to 150 photographs sized 6 x 4 inches. 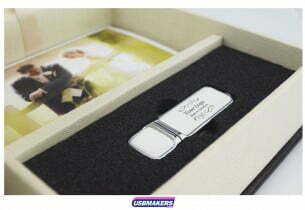 The Hermes USB Drive comes in memory sizes from 128Mb to 32Gb, A Grade Flash Chips and the option to have a Black or White shell. 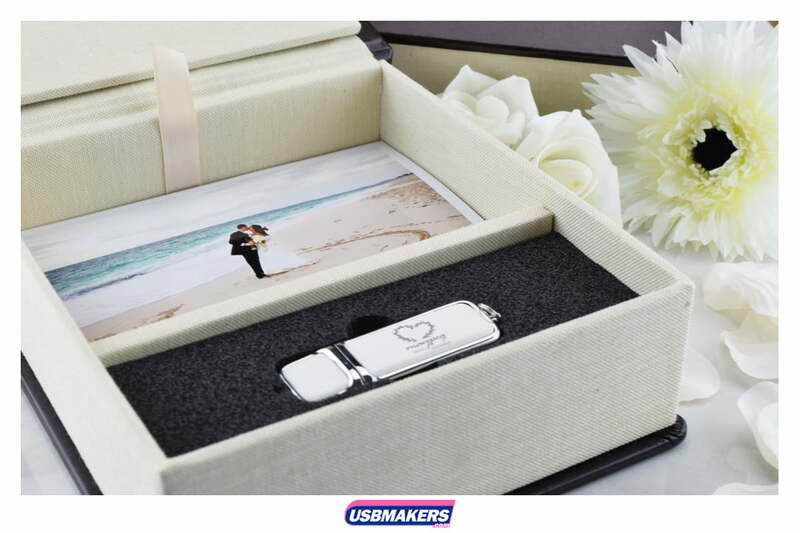 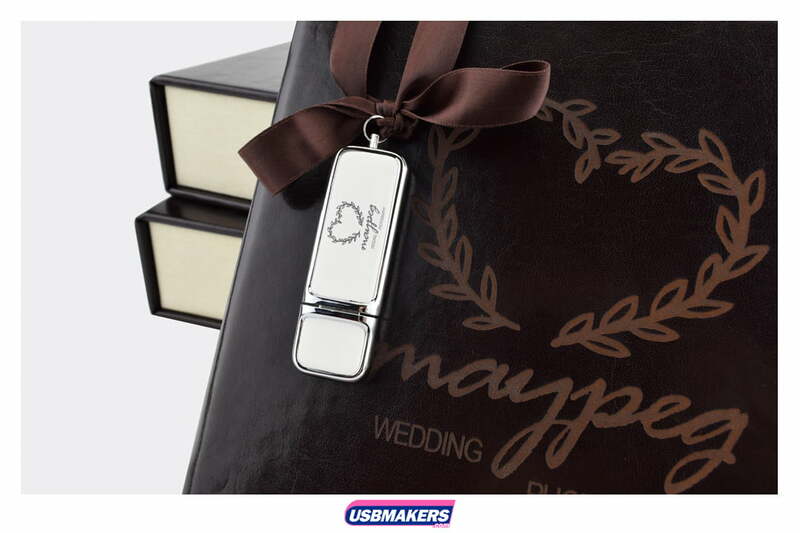 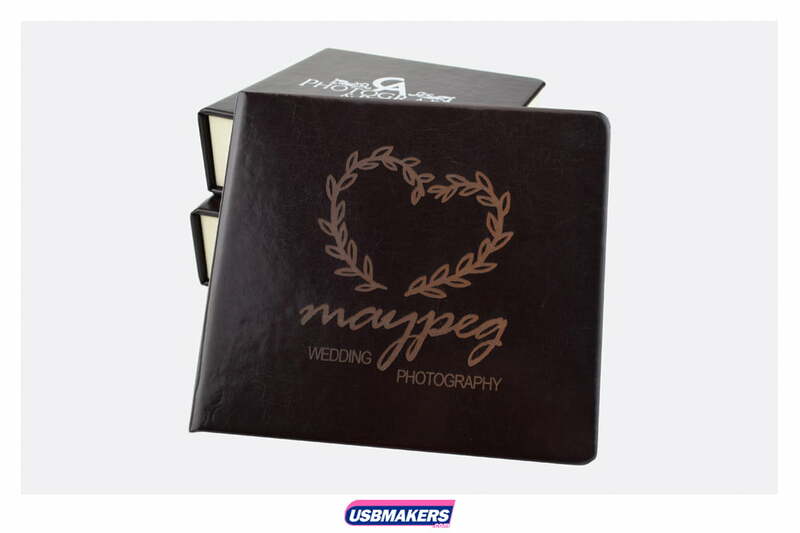 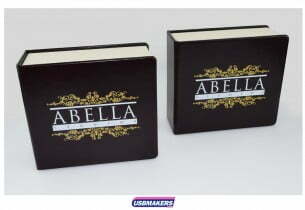 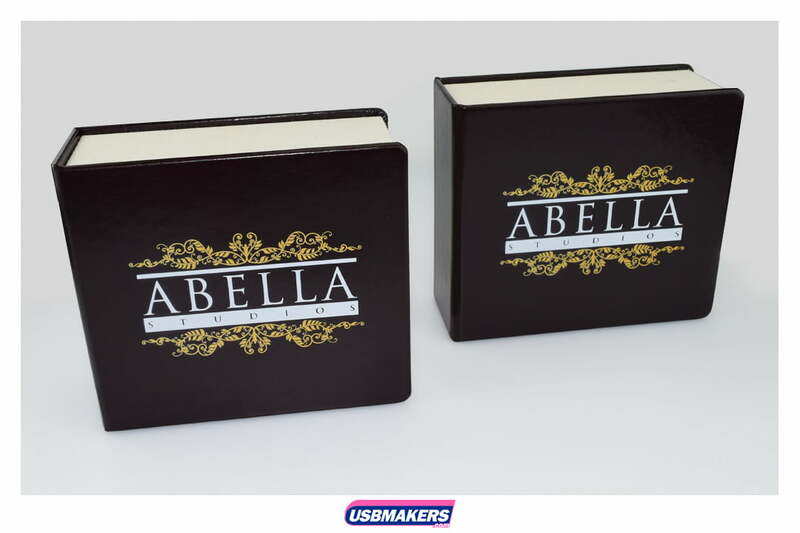 The Book Style USB & Photo Print Box will be a magnificent addition to your clients’ coffee table or bookcase, to forever advertise your brand and celebrate their happy memories. 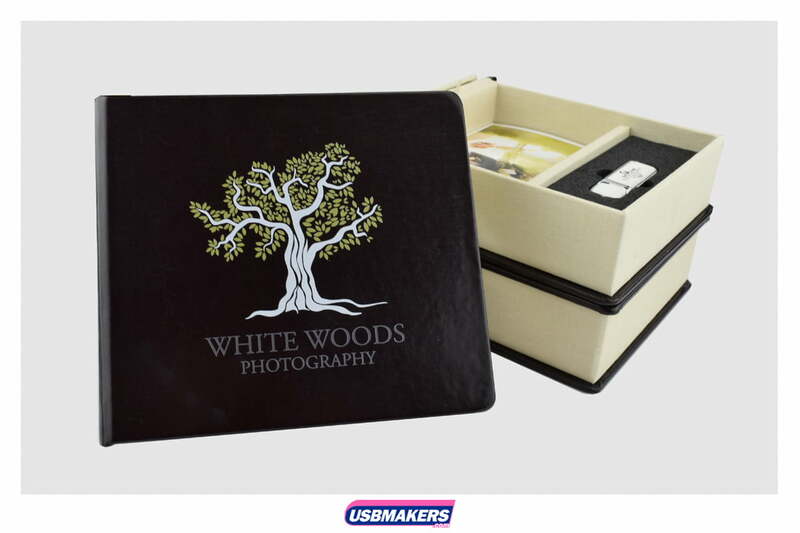 Made from the highest quality materials, the heavy-weight box adds a touch of elegance to your photographs creating the perfect gift set for your clients.